As the calendar flips to December 1st, Christmas preparations move into full swing. But whilst the festive period is typically a merry one for most, for others it can be incredibly stressful. In fact, one in 20 say they find Christmas more stressful than being burgled. 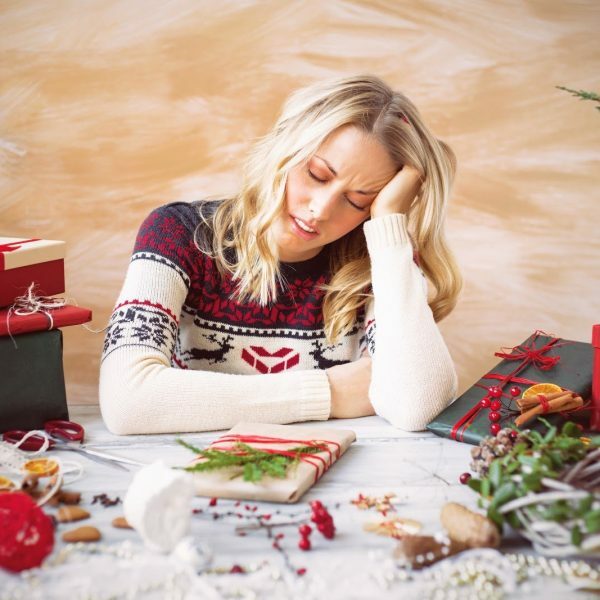 So as the big day looms, here are some tips on how to deal with stress at Christmas time. Christmas is certainly a time of eating great food, and often overeating great food too! One thing to consider though is that what you eat can have a bigger impact on your body and mood than just your waistline. A poor digestive system will put a burden on your liver, which in turn can compromise the immune system and your brain. But the cycle also works in reverse, as Stephanie Moore, a clinical nutritionist and psychotherapist notes: “When you’re stressed, your digestion doesn’t work well, resulting in bloating, acid reflux, poor bowel function and fatigue. One of the biggest stressors for some may be the sustained period of entertaining family members and friends. If you’re someone that values a moment alone to regroup or aren’t comfortable with long periods of socialising, take time to plan in some breaks throughout the Christmas period and take some time for yourself. These could be in the form of stepping out to make a call, taking a walk to the local shop or even a quick nap. Dehydration can cause fatigue and irritability, so however much you’re looking forward to that glass of morning prosecco whilst opening presents with friends and family, remember to make sure you’re drinking non-alcoholic fluids as often as alcoholic ones. At the start of the festive period, make a little list of who it is you’d like to buy presents for and also what food and preparation need to be completed before the day itself arrives. Making lists will help reduce the stress of trying to remember everything that needs to be done. Also, getting smaller tasks done in the run-up to Christmas instead of the few days before will greatly reduce the amount that has to be done in one go. The most obvious thing to do in advance is present buying, but some Christmas food and drink, as well as the crackers and placemats that go with them, can be organised weeks before. If you have guests staying, look to prepare guest rooms the week before too. It can seem at Christmas that we’re trying our best to please as many people as possible, either with gifts or hosting the perfect Christmas lunch. But try to remember that this is your holiday too and to do the things you want to do as well. Take that walk, go and see that play or even just take a few days to relax at home. Who’s most at risk of suffering from stress at Christmas? Whilst the festive period can be stressful at times for a lot of us, there are people for which this time of year can be particularly challenging. Workers already potentially nearing burnout could also be struggling, both with the extra workload of managing Christmas in their personal lives and also the looming deadlines that need to be met. Depression is often at its worst for some people during the holiday season as well and can prove a particularly stressful, lonely and sad time for those suffering from it. Navigating Christmas will also be a more challenging for those recovering from alcoholism. Read more: Why do people get addicted to alcohol? Perhaps the key thing to remember is that it’s good to recognise potential situations that will cause added stress at Christmas in advance, and also decline invitations to such situations and events without feeling guilty. Dr Sheri Jacobson writes: “Don’t be too proud to accept invites if it makes you feel good – and if it doesn’t, if it honestly makes you feel worse to spend Christmas with someone else’s family, then don’t let guilt make you feel you must say yes.